In this laugh-out-loud romantic comedy inspired by true events, Rebecca Ross, a thirty-six-year-old struggling actress, lets years of disappointment and heartache catapult her into a disastrous marriage to a charismatic man with more than a few surprises up his sleeve. Travel along on their hilarious "honeymoon from hell" in Italy, which soon has Rebecca longing for her miserable days of singlehood. 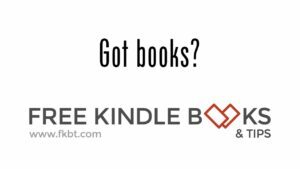 An entertaining and poignant story about second chances, finding love, and most importantly, finding yourself. I began writing Wedlocked about a year after escaping from my first brief, disastrous marriage at the age of thirty-six. After fifteen years of dating, desperation took hold and impelled me into a most unlikely union with a very complicated (to put it nicely) man. It was a time in my life that was so absurd and that made such a huge impact, that the story eventually poured out of me. Much of what happens at the "Scary Tale Wedding" and on the "Honeymoon from Hell" actually occurred, much to many readers' amazement. Writing this book was the biggest catharsis of my life. Those actions were further aggravated by inordinately stupid, blatant lies that were so obvious, I was not only frustrated and angered, but also feared I was marrying a moron to boot. Once, after an “intense workout with his trainer,” he returned with his suit smelling of cigar smoke and his breath smelling of beer. He then told me his trainer decided he was doing so well on his program that he nixed his workout and insisted on taking him out to a bar to celebrate. Did he really expect me to buy his load of crap? He was so transparent Stevie Wonder could see right through him. 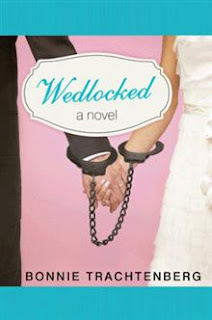 Wedlocked is available at Amazon. Bonnie Trachtenberg is the award-winning, bestselling author of Wedlocked: A Novel and Neurotically Yours: A Novel. She writes a monthly relationship and advice column for LoveaHappyEnding.com. Bonnie was senior writer and copy chief at Book-of-the-Month Club and has written seven children’s book adaptations. She has also written for three newspapers and penned countless magazine articles. She lives in New York with her husband, four cats, and a dog. You can learn more about Bonnie and read her blog. Thanks Cherie. It really was quite funny and had a great surprise ending.